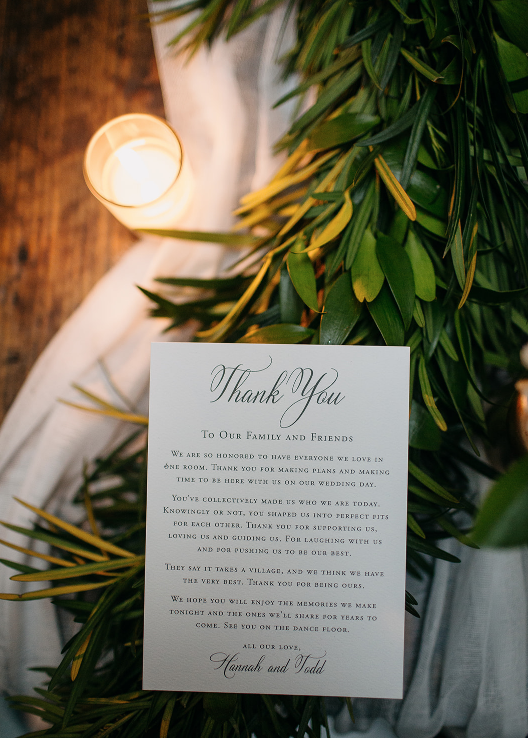 We are always excited to share in the planning and joy surrounding each of our clients’ “big day” and feel especially spoiled when that client is an old friend. Hannah and I trace our friendship to our middle school days and have been pretty much inseparable ever since. Lucky me. It was the most special honor to stand by her side while she and Todd exchanged vows in January, 2018. Their ceremony was at White Memorial Presbyterian Church and the reception followed at The Merrimon-Wynne House. 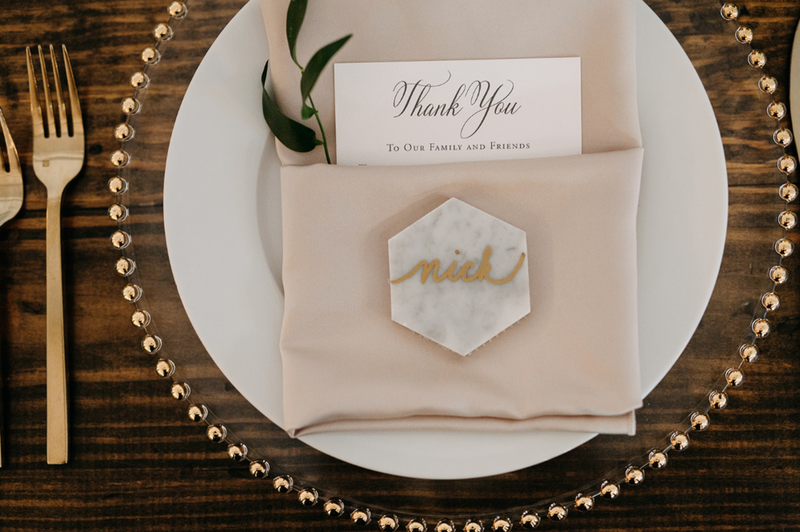 Hannah combined classic elegance with a touch of modernity, and the outcome was perfection. Keep scrolling for all of the lovely details. All of the photos were taken by the incredibly talented Julia Wade. We adore her work over here. Gold Engraving on 165# White Card engraved by our friends at Arzberger Stationers. 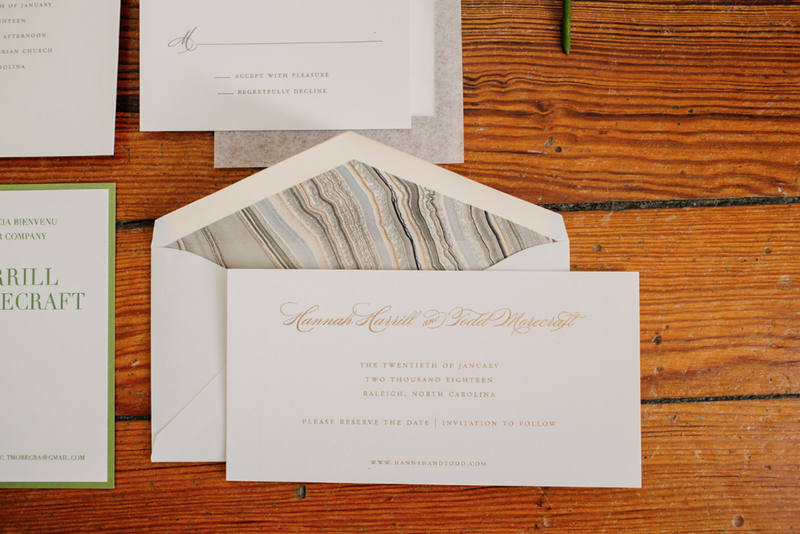 Envelopes were lined with their Neutral Marble liner. 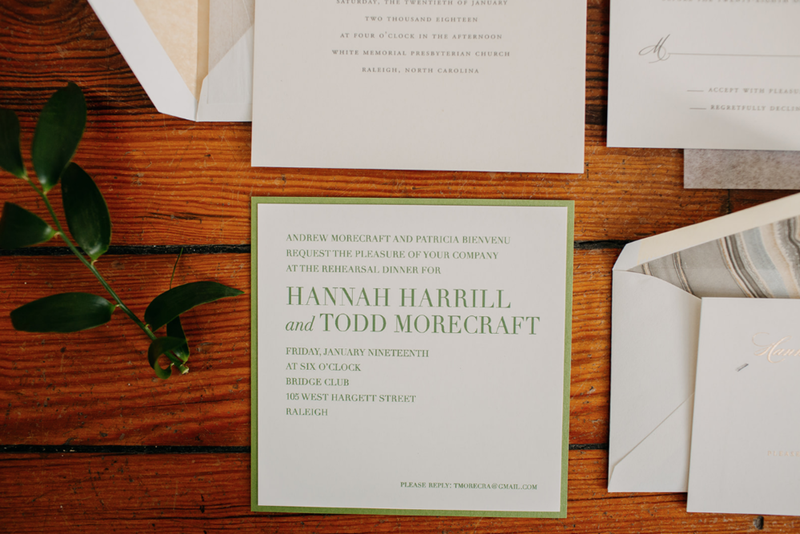 Flat Print on layered green and opal shimmer cards designed and printed in-house. 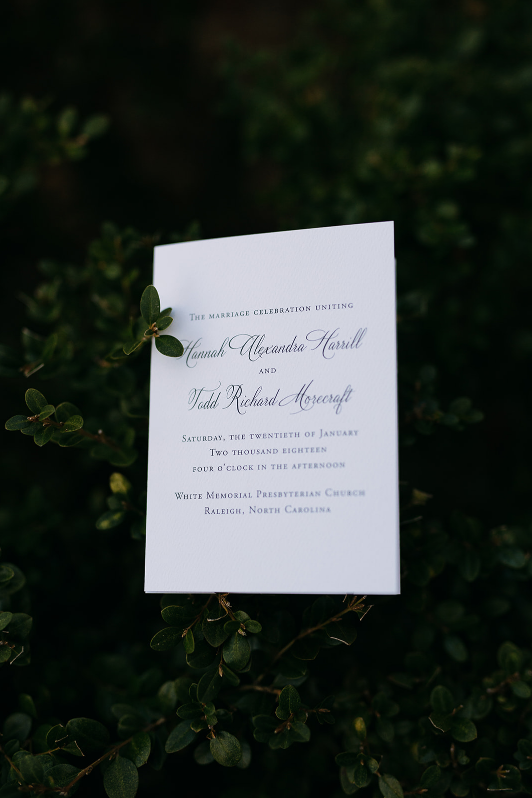 Wedding Programs, Table Assignments, Thank You sentiment, and reception signage all designed and printed in-house on white, felt textured 100# paper. I am in a state of disbelief that just three days ago the Morecrafts celebrated their first anniversary. Anyone else trying to figure out where 2018 went?? A sucker for tradition, I can’t help but take the opportunity to mention the traditional first anniversary gift: paper. Check back next week for our favorite first anniversary gift ideas.